About this item: Brazil's own Neide Ambrosio explores the shimmering beauty of chain mail, creating visual textures in vertical stripes. 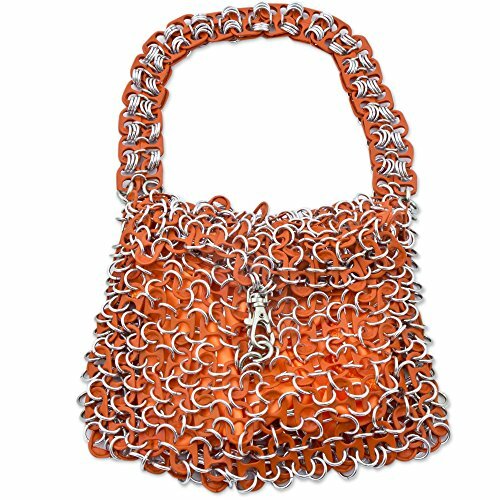 She links shiny orange-colored aluminum pop-tops with brass hoops creating a stunning handbag. The lined purse features an inner pocket and a flap with a lobster-claw hook closure. By recycling poptops, she makes a statement for environmental res-ponsibility. NOVICA works with Neide Ambrosio to craft this item.